Design & manufacture of couplings, flange adaptors, pipe connections, repair & flow control products, shouldered and expansion joints for international water & gas markets. Posiflex expansion joints - stress relief for piping systems. A range of flexible elastomeric joints that can handle thermal and mechanical vibrations in pipe networks. Viking Johnson fabricated a 1048 x 1084mm ductile iron to cast iron stepped coupling within 24 hours. 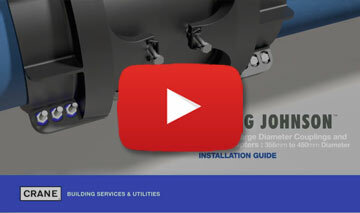 Dedicated products are Ideal for new lay pipe schemes, available in sizes up to DN5000, they offer a cost effective solution for connections to plain ended pipes or to flanged equipment. A range of mechanical couplings and flange adaptors for all weather and site conditions providing a quick and easy way of joining or repairing PE pipe materials. Couplings and flange adaptors accommodate plain ended pipework with differing outside diameters. 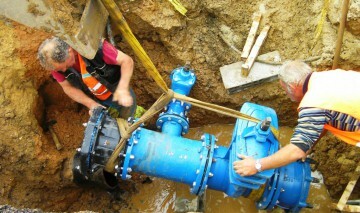 One size covers different pipe materials, ideal for repair and maintenance work. 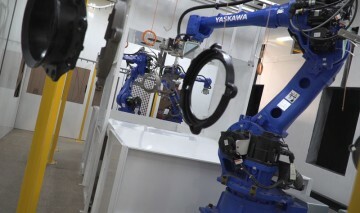 Repair clamps and under pressure tapping products, featuring wide tolerances for repair and branch connections for pipes manufactured from a variety of materials. A range of valves and an award winning fire hydrant, ideal for isolation, control & backflow preventions of potable & wastewater, slurries, sludges, gases & powders. AquaFast Large Diameter now allows for PE connections to be made from 355mm to 450mm diameter pipe and is designed for simple and dependable trench installation every time and no specialist tools are required. 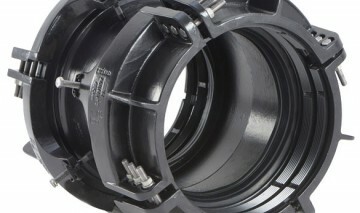 Glynwed France, a Viking Johnson distributor, has supplied twenty UltraGrip Flange Adaptors & Couplings to main contractor SNTPE as part of the installation build for a new mains water network.